The Community Miracles Center is an active, local ministry for the San Francisco A Course In Miracles Community. We currently have four different in-person meetings to attend plus we have frequent social event and holiday parties. Here's the list of the local meetings, all avaialble by drop in, all by donation. A collection is taken and attendees are encouraged to be abundant. Coffee is available along with toasted bagels and croissants. Service has a teaching, meditation, reading, healing prayer, and singing. Some people usually go out to lunch after the gathering at a local inexpensive restaurant and any attendee is welcome to join the group. Click on the picture or title for more information. This group has been meeting since 2009. It is facilitated by Rev. Dusa Althea Rammessirsingh a professional body worker and healer who has been studying A Course In Miracles since 1993. 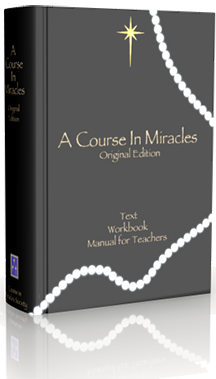 This classes reads and discusses the Text of ACIM and uses the Original Edition published by Course In Miracles Society (CIMS). Click on the picture or title for more information. Rev. Dusa Althea is a long time member of the CMC Board of Directors. Click on the picture or title for more information. This group is designed to be of support of people for the Lesbian, Gay, Bisexual, Transgender, Queer, and ... everything else too. It reads the Text of the Original Edition. It is facilitated by Rev. Peter Graham an out and active special education, public school teacher and long time San Francisco, resident. Rev. Peter has been studying ACIM since 2000. He coaches and plays for a gay sofball team, The Fury. He is currently the Secretary of the CMC Board of Directors. Click on the picture or title for more information. Class is held in a wonderful apartment at the top of Russian Hill with an amazing view of the San Francisco Bay. This group is led by Rev. 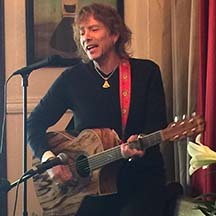 Rudy Colombini. Rev. Rudy is a successful local musician and hotle and property owner He has been studying ACIM since 1992 and is the Vice President of the CMC Board of Directors. This Text study group uses the Foundation for Inner Peace edition of ACIM and there are extra books on hand. Coffee and bagels are available and lively creative discussion is encourged. Sometime Rudy sings to everyone! Click on the picture or title for more information.